"Fill gaps in coverage left by primary health insurance, replace lost income and cover other unexpected costs"
Supplemental insurance pays benefits in addition to any other insurance and can be used to cover the large deductible or gaps in the new required health insurance plans or to provide cash to pay other medical bills that may pile up while you are sick or injured. The common characteristic of all supplemental insurance plans is that their benefits can be paid in addition to any other insurance that you may have. If you are covered by a qualified medical insurance (known as bronze, silver, or gold plans) offered through a state insurance exchange for 2014, these policies exclude coverage for a substantial portion of the most common types of medical care. This gap in coverage was not widely publicized by those who sell the Obamacare policies so some people may be unaware of the financial risks. Many individuals and families can not afford the uncertainty that comes with these high uncovered risks, especially if medical expenses continue year after year. It may make sense to obtain supplemental coverage for these risks. A single illness or injury can have a profound impact. 41% of working age adults report they have had to go without medical treatment due to costs and 40% say they are having trouble paying off medical bills according to a May 2011 employer health reform survey. 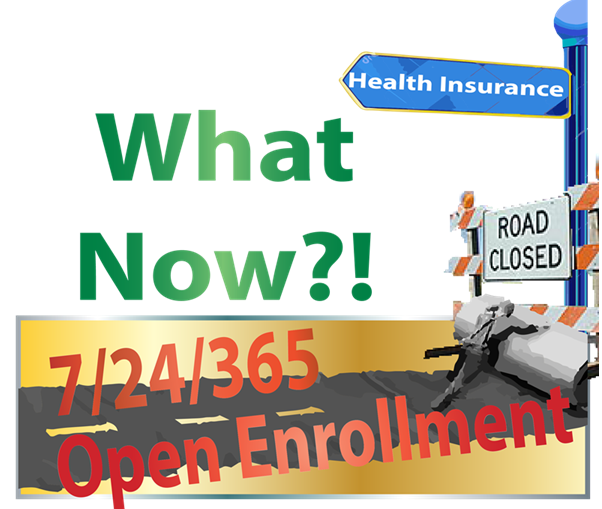 In some situations (prior to 2014) supplemental insurance was the only insurance that is both available and affordable and so, by default and despite its limitations, become a popular choice as a stand-alone coverage. For example, the Physician Plan Core Health Insurance from United States Fire Insurance Company is a good example of this usage. The least expensive version of this policy pays a benefit to get a patient to see a physician but pays little for follow-up lab tests or hospital expenses that may be necessary later. Younger insurance purchasers may tend to prefer supplemental insurance because it covers more of the expenses they envision using. This type of short-sighted thinking can lead to exposure to catastrophic claim risks. The demand for supplemental health insurance has grown steadily over the past decade and is now expected to explode as a result of 2010's health reform laws that require such large gaps in insurance coverage. Employers that sponsor major medical plans tend to trim the plan benefits each year to combat increases in health care costs. More than 2/3 of companies polled expect to take this route over the next year. The expansion of Health Savings Account plans means that more families are uninsured for their first $5,000 to $6,000 of medical costs each year. Unfortunately few people can afford to pay the deductible from their personal funds. In these cases, supplemental coverage that has no deductible fills in those gaps in coverage. Beginning in 2014, some small businesses are expected to direct employees to purchase their own coverage on the insurance exchanges, often at subsidized rates, while the employer provides only the supplemental coverage. This maximizes the employer's benefit to the employees while avoiding any of the employer requirements or restrictions of the Affordable Care Act. Small companies and retail businesses often use a "mini-med" type of employer-provided health insurance. These defined benefit policies typically pay a fixed amount for doctors visits, hospitalization, emergency room visit, ambulance service, etc. that is less than the full cost of the treatment. The maximum coverage amount typically works out to $10,000 to $20,000 per year. Any medical expense about that amount would not be insured. Recognizing these gaps in coverage, consumers are increasingly likely to purchase some type of supplemental insurance to cover catastrophic expenses. Qualified Health Plan supplement - specifically meant to cover the gaps left by ACA-compliant "Obamacare" policies. Specific illness (cancer policies, for example). Mini-med - insurance that defines the maximum that will be paid for any specific medical expense. International - these cover additional risks that surface when travelling outside the U.S. Examples include medical records or transcription into English, conversion of billing and currency to U.S. dollars for payment. These policies may also include non-medical insurance like lost luggage protection. Basic coverage - provides "first dollar" coverage for a high-deductible employer plan. These usually have no deductibles or co-payment and tend to appeal to people with lower income and little savings. While these policies range from $20 per year to over $400 per month, the most common supplemental insurance policies have a premium of $40 to $75 per month. Because these policies can define the benefits that will be provided, it is possible to find a supplemental policy in almost any price range. In this type of insurance, it is easy to see the direct relationship between the premium price and the benefit amounts paid. The most important feature may be how the supplemental insurance integrates with any other insurance. These polices state that benefits are paid in addition to any other insurance or, alternately, coordinate benefits with other insurance to avoid duplicating coverage. The second type of coverage is less expensive but obviously there are uses for each type of plan. Policies that pay in addition to other insurance can be used to pay deductibles and co-pays or used to replace income lost during an illness or period of medical treatment. Supplemental insurance policies issued prior to 2014 do not directly match coverage up to the gaps of primary policies. The benefits of these policies may leave a gap reaming or overlap coverage to provide excess coverage. Another important feature of supplemental insurance is universal availability. Most supplemental policies are available to all applicants regardless of medical history. The only obstacle to eligibility for these plans are some state insurance laws that restrict or delay the introduction of these policies. Another important feature is the treatment of pre-existing medical conditions. Coverage under a supplemental policy is typically more liberal under a supplemental insurance policy than an individual major medical plan. Supplemental Insurance can be obtained through a group employee benefit plan or by individual consumers. Some policies offer slightly lower premiums when a group of employees are enrolled and billed together. One of the driving forces for the increased use of supplemental health insurance is favorable tax treatment. Unlike primary coverage, supplemental insurance is not subject to the restrictions imposed by the Affordable Care Act. Supplemental insurance may be paid by the employer or the employee directly or through a Health Reimbursement Arrangement. Unincorporated businesses and S corporations may be able to classify insurance for employees as a deductible business expense. Benefit payments received from a health insurance company are tax-free. In contrast, payments from businesses made directly to medical providers on behalf of employees are often not deductible by businesses. Individuals cannot deduct medical expenses unless they exceed 7.5% of income (The threshold limit increases to 10% in 2013 so even fewer people will qualify). Special rules apply to Health Savings Accounts. Tax laws specify that some types of low deductible major medical and other health insurance cannot be combined with HSAs but most types of supplemental insurance is allowed. This topic is covered in more detail at www.healthsavingsaccount-hsa.com. It is possible to lower the financial risk associated with high deductible insurance by using both a supplemental insurance policy and a Health Savings Account in combination. We anticipate the continued growth of employer-provided high deductible insurance with individually purchased supplemental coverage. For qualified health insurance issued for 2014 or later, also called "Obamacare", there are two types of supplemental insurance specifically designed to help consumers lower out-of-pocket risks. Deductible Supplement Insurance covers only the policy deductible. QHP Supplement Insurance covers a wider range of issues. It is easy to compare the rates and coverage of these choices at Members Insurance Exchange. The most popular supplemental insurance policy here at Freedom Benefits prior to Obamacare was Core Health Insurance from United States Fire Insurance Company. the "Physician Plan" that helps pay for doctor office visits. Popularity is due to its guaranteed issue design, a wide range of pricing and benefit options and its availability in 44 states. In January 2016 new supplemental insurance coverage was introduced by the same insurance company and plan administrator as Core Health that is specifically designed to match the deductibles under Obamacare policies. We expect that this will be the most popular supplemental insurance in 2014. Read more and get pricing information online. AFLAC is the nation's most popular provider of supplemental health insurance offered through an employer, those who buy coverage on an individual basis prefer other specialty insurers who offer coverage directly online. If you wish to purchase supplemental insurance for a group of employees in your company, please call or e-mail the enrollment adviser so that we may offer the best fit product and pricing. For individuals and families Core Plus Health Insurance from United States Fire Insurance Company has been the most popular choice for the past several years. Value Access Guarantee, a group member benefit program (not an insurance plan) from Value Benefits of America may be the best offering for those healthier applicants who qualify by answering "no" to the three medical questions on the application. Smart accident insurance and Value 24 Hour accident plan are smaller policies with an obvious more specific focus. A number of other insurance companies will introduce new supplemental policies over the next year and we expect the next generation of policies will be even more attractive to consumers. We expect, for example, that the recently enhanced ValueMed insurance will gain popularity in coming year. American Families Life Assurance Company (AFLAC) is the nation's largest marketer of supplemental insurance, working through a network of agents who primarily sell the coverage as a voluntary employee benefit plan. The company announced that it will withdraw its individual limited benefit plans in response to reform laws but group-type coverage will continue to be available. The least expensive supplemental insurance plans are Value Emergency Room, and Value 24 Hour Accident, all under at less than $40 per month. These provide lower benefits that may help cover deductibles and co-pays of other insurance but should not be used as the only type of insurance coverage. The most recent supplemental insurance plans for individuals and businesses are Smart Accident Insurance and UnitedHealthOne critical illness coverage. Both have replaced older policy forms as a consumer choice for accident coverage and supplemental critical illness coverage, respectively. Both are offered through group insurance plans or directly to individuals. From a financial planning perspective, supplemental health insurance is not a preferred solution because the insurance usually pays back less than you paid in premiums. This is, of course, a fundamental principle that allows health insurance to operate that consumers tend to ignore. Supplemental life insurance, on the other hand, can be designed to build cash value that returns more than the total amount paid in premiums at any age. If the intention is to provide a supplemental coverage for expenses that may be incurred late in life, then the tax-free nature of a life insurance policy can be more attractive than health insurance. Life insurance is priced individually based on personal health data. The best way to compare supplemental life insurance and health insurance is to request a personal discussion with an agent who works with both options. About the author - This Web page and related content is written and periodically updated by consumer finance writer Tony Novak, CPA, MBA, MT who is also a life and health insurance agent in all 50 states and DC. Comments, questions, feedback and updates are welcome to help keep content relevant and up-to-date. Contact the author directly by e-mail, on Twitter or through the contact information included on his Web site. Article reprint rights as well as specifically customized content may be available on request. Some content may be offered for reprint without charge; other content will be offered for a fee that exceeds the minimum amount regulated by international Web copyright laws. Reprint is not permitted without written license. This web site is independently owned and managed by Tony Novak operating under the trademarks "Freedom Benefits", "OnlineAdviser" and "OnlineNavigator". Opinions expressed are the sole responsibility of the author and do not represent the opinion of any other person, company or entity mentioned. Tony Novak is not an agent, broker, producer or navigator for any federal or state health insurance exchange but may provide uncompensated advice, reviews and referrals to these resources. Novak is compensated as an accountant, adviser, affiliate consultant, marketer, reviewer, endorser, producer, lead generator or referrer to some of the other commercial companies listed on this site. Information is from sources believed to be reliable but cannot be guaranteed. Any tax advice in this communication including attachments and linked resources cannot be used by the taxpayer for the purpose of avoiding penalties that may be imposed on the taxpayer.